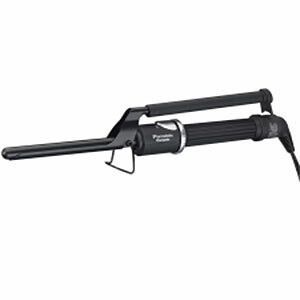 Marcel irons are curling irons haircare professionals use that has a clip on the bottom of the curling iron barrel instead of the top. To use the iron, you press on the long, thin bar on top of the curling iron to open the clip and put your hair strand in. It comes in series of sizes like 1/2", 3/4" and 1" barrel and they mostly have temperature control and setting.The plate can be made of metal (Gold, Titanium plating) or porcelain ceramic. The tool become preferable by professionals to create certain styles because they are in full control of the grip that holds and secure the hair around the barrel. There is no spring to automatically hold the hair! – This makes it a little tricky for first time users. Return to Flat Irons For Short Hair.